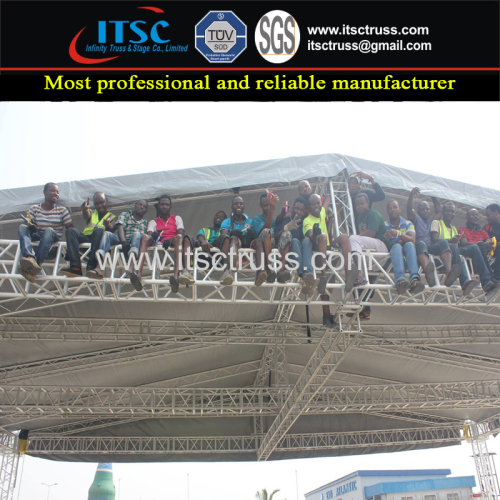 The Stage and Trusses are usually equipped together for shows. 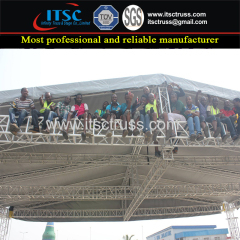 This Gable Roof with stages is 12x12x8m height. It constructed with 390*390mm Square Trusses as beam and pillars. Other dimensions can be custom in different needs.